Mayfield Country Cottages offer 3 Great PEI Family Packages for Attractions in the Cavendish PEI Area. We are just 6-7 minutes away from these attractions and the Cavendish Beach as well. Select from one day passes with the Economy Family Package or choose passes to allow you to go every day to Shining Waters Park and Sandpit Park with our Slide and Ride Package or the Vacation The Kids Took Over Package promises a vacation the kids will truly enjoy. Please quote package when inquiring for AVAILABILITY. 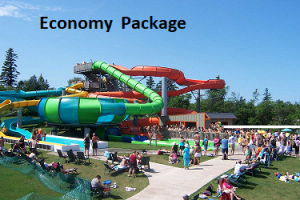 Economy Family Package gives you a 1 Day Pass for Shining Waters Family Fun Park and Sandspit Park. This package is ideal if you can only come to PEI for 2 or 3 days. Slide & Ride Family Package is our most popular package for Families. With this package you can go EVERYDAY to the two most fun attractions in Cavendish PEI, Shining Waters Family Fun Park and Sandspit Park. . This package is ideal if you can come to PEI for at least 4 nights (5 days of activities) and offers the most fun for kids and those young at heart. Vacation the Kids Took Over at Mayfield Country Cottages has it ALL!!! In this Package your passes are good for EVERYDAY!!! for all the Attractions listed in the package. View the Details to see all the fun you can have. This package is ideal if you can come to PEI for at least 4 nights (5 days of activities) but is available with a 3 night stay as well and offers the most fun for kids and those young at heart. Attractions in Cavendish PEI, Shining Waters Family Fun Park and Sandspit Park are the most popular for kids Shining Waters Family Fun Park is a water theme park with water slides, paddle boats, roller coaster, pool, petting zoo, mirror maze and so much more. Shining Water Family Fun Park is open daily from 10am till 7pm. Sandspit Amusement Park is a great choice for evening since it is open till 11am most nights. Sandspit Park features Bumper Boat, Bumper Carts, Race Cars, Mini Golf, Roller Coaster, Ferris Wheel, Tilt a Whirl and so much more.